“Through Better Start to Life, Danila Dilba has recently begun offering home nurse visits, meaning Darwin children and families now have more culturally appropriate access to antenatal and postnatal care. We know that Mums participating in this program have fewer low birth weight babies, higher rates of breastfeeding and very high infant immunisation rates. We are also seeing women accessing antenatal care earlier in their pregnancies. 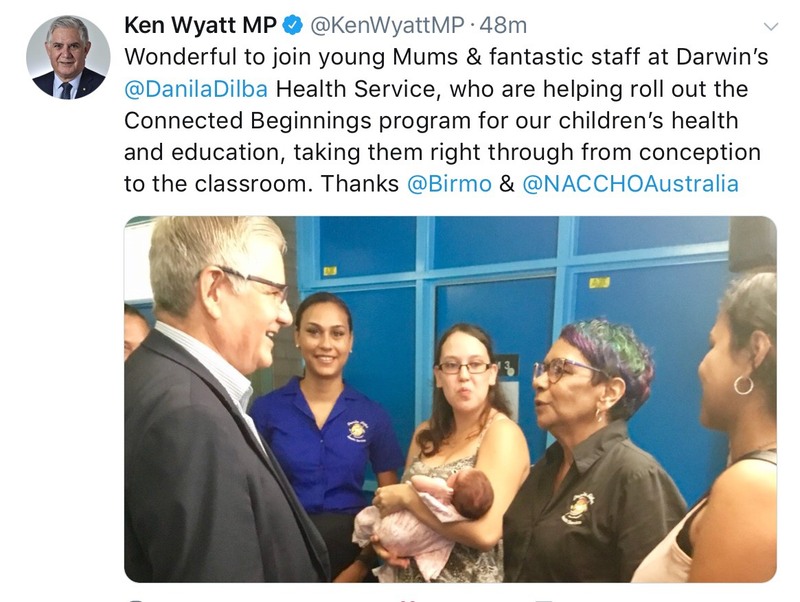 Visiting Darwin’s Danila Dilba Health Service last week , the Minister for Indigenous Health, Ken Wyatt AM, said the programs promised to help in Closing the Gap in health equality and were already having a measurable impact. 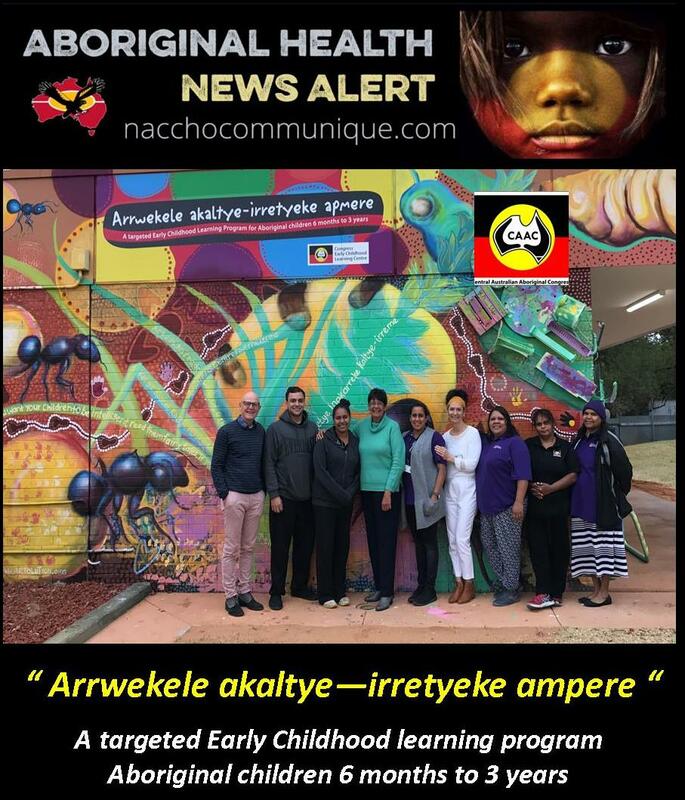 ” In Alice Springs, the Central Australian Aboriginal Congress is targeting at-risk Indigenous children before they even start preschool. ” Wonderful success story: early life investment optimises children & family wellbeing. The Turnbull Government is investing $94 million over three years in A Better Start to Life, which consists of two streams: The Australian Nurse-Family Partnership Program (ANFPP) and the New Directions: Mothers and Babies Services program. The Danila Dilba Health Service through the ANFPP is receiving $1.68 million for the 2017-2018 financial year. “While lifetime health care is important, intensive support from before birth to three years old – the critical first 1,000 days – has the greatest impact on our children’s futures,” said Minister Wyatt. 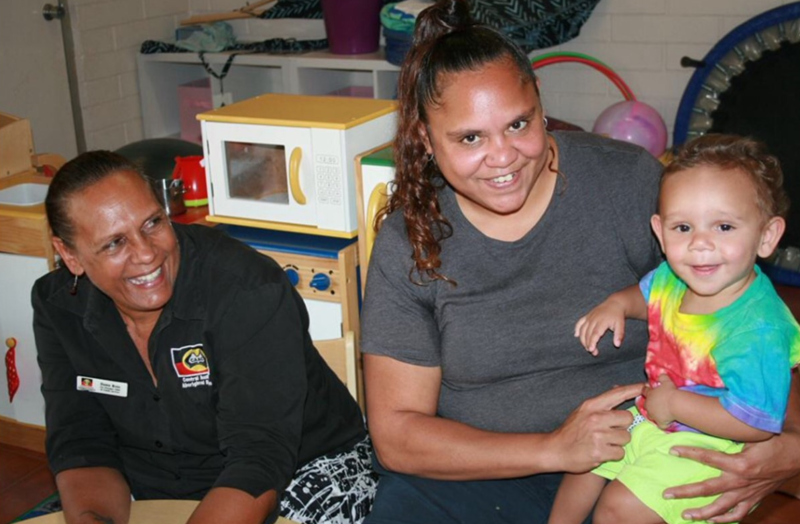 In Alice Springs, the Central Australian Aboriginal Congress is targeting at-risk Indigenous children before they even start preschool. The Preschool Readiness Program has up to 10 places for children between the ages of three and four who have been identified as having developmental delays or come from challenging home environments. Senior manager of Child and Family Services at Congress, Dawn Ross, said it was important to create an environment that was similar to a preschool at a primary school. 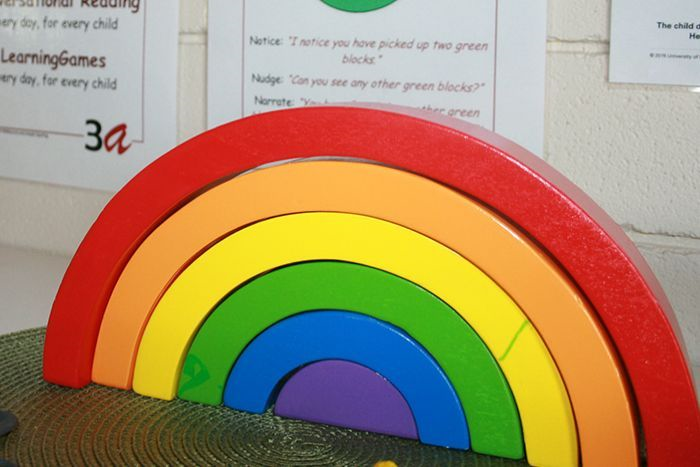 “We have purchased items that would enable a child to feel friendly and be familiarised with what a preschool would be like if they went to preschool and that’s what our program is really about is getting kids familiarised and ready,” she said. Victoria Croker enrolled her son Jaxon in the program in 2017 after his preschool teacher thought he may not be ready for school yet..
Like many new mothers, Ms Croker struggled after the birth of her first child. “I had a bit of a rough patch there. With the support that these guys offer, it’s just amazing,” she said. Ms Croker said his teachers from mainstream preschool had noticed a transformation in Jaxon. “A huge difference — he’s a totally different kid now,” she said. The program’s team leader and psychologist Bianka Schulz-Allen said it helped to know the children’s background story and how that may impact on their development. She said it was common for children in their program to come from highly traumatic situations. “What we do know is that when parents are impacted by trauma like domestic violence or alcohol, or any of those things, it does impact on the children’s development and therefore we need to target the children and the parents in our interventions,” she said. Ms Schulz-Allen said early intervention was vital to ensure future success in mainstream education. “We measure children on several domains of their development like fine motor development, gross motor development, speech, receptive language, expressive language. The program’s only male educator, Mark Lockyer, provided the children with a positive role model. “I’ve been working with the program for about six months now and I’m enjoying it a lot,” he said. “I like working with families and building relationships with families and getting the family’s engagement with their children. Mr Lockyer said trust was vital when engaging with the family and the children. “We’re working with their children so we want them to build up their relationship and they can trust us with their children’s education,” Mr Lockyer said. The program’s involvement continues when the children go into mainstream preschool. “They’re happy to see us and that we can talk to the teachers at the preschool as well and say what that child is like and how that child has improved,” he said. “Receiving this award is great recognition of what can be achieved through the combination of a Workforce Engagement and Development Plan, a dedicated Leadership team and an Aboriginal Staff Advisory Committee. With a workforce of 399 staff and over 50% Aboriginal employment, training is critical to achieving Congress’ strategic objectives through building a skilled workforce that has appropriate clinical and non-clinical skills to deliver culturally‑safe and responsive health care to Aboriginal people . Congress is thrilled to be named 2017 Large Employer of the Year at the NT Training Awards. The Large Employer of the Year Award recognises organisations with a workforce of 200+ employees that has achieved excellence in the provision of nationally recognised training to its employees. 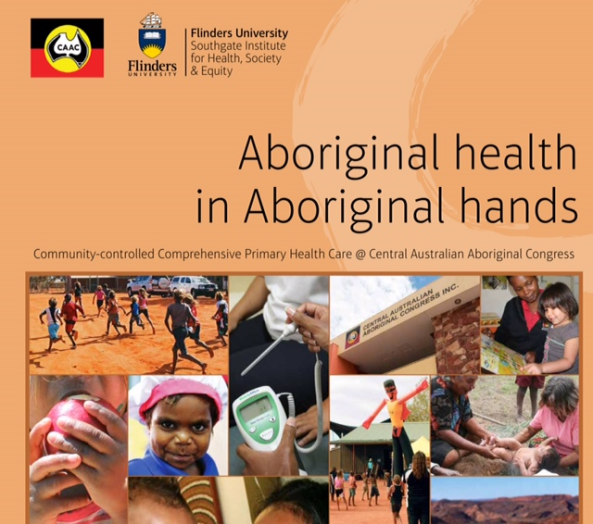 Congress has a proud 43 year history of providing comprehensive Aboriginal community controlled health care to over 15,000 Aboriginal people in Alice Springs and across six remote Aboriginal communities in Central Australia. A cadetship program that supports Aboriginal people to attain undergraduate tertiary qualifications in a health, early childhood or commerce field. A traineeship program employing trainees across a number of health, early childhood and administrative positions, providing on the job and accredited Certificate IV training and career in Congress. An Aboriginal Health Practitioner (AHP) focused traineeship program with 13 AHP trainees progressing towards Certificate IV in Aboriginal Primary Health Care with a pathway to an AHP career in Congress. A Diploma of Leadership and Management program focused on supporting Aboriginal staff into management positions. Provision of nationally accredited mentoring set skill set for Managers and mentors. 63 staff currently actively engaged in training from Certificate III to post graduate qualifications, with the predominate focus on investing in our Aboriginal workforce. Strategic focus on Professional Development, training and study across our entire workforce with generous paid leave available to staff. Accredited and non-accredited training remains a commitment across our entire workforce, establishing an Aboriginal workforce is critical to closing the gap in health outcomes for Aboriginal people and Congress strategic plan” said Chief Executive Officer, Donna Ah Chee. 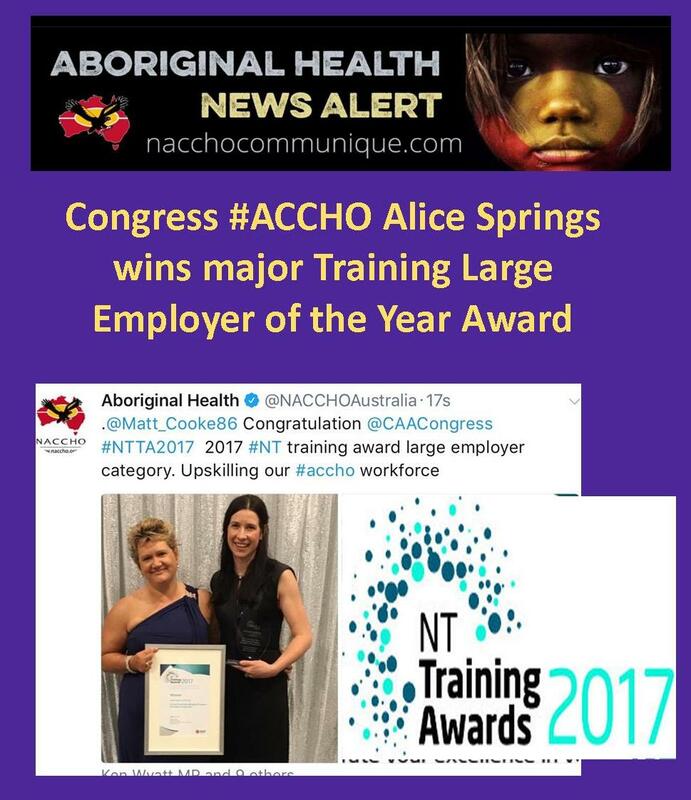 Congress acknowledges our training partners, Central Australian Remote Health Development Service and Batchelor Institute. In addition to this, children in the most well off families had been exposed to 560,000 more positive affirmations than negative, whereas in the welfare families children had 160,000 more negative affirmations than positive. The next generation of young people, who are likely to be impulsive, have unhealthy brain development leading to poor school performance, develop alcohol and other drug addictions, be violent on the streets and incarcerated, are already there. Ms Donna Ah Chee is the CEO of the Central Australian Aboriginal Congress Alice Springs which, not surprisingly, has early childhood care as its top priority. ” Denying children stimulation – talking with them, reading to them, praising them – very early in their life is more serious than either sexual abuse or physical abuse in terms of impact on life long health and well being. Donna Ah Chee quoted these findings by the Harvard Centre on the Developing Child at a keynote address to a recent national health conference in Alice Springs. Congress has runs on the board. It is one of the oldest Aboriginal NGOs in town, founded in 1973. “We [Aboriginal people] controlled it from the beginning, and still do,” she says. “In some ways we had no choice. Our health status was very poor as you can see from the infant mortality rate and Life Expectancy figures in 1973 when Congress started. There was a heavy dose of politics to get the point across. Congress has had a role in an improving health system that has had many big players, not least the NT and Federal governments: Infant mortality in the mid ’70s was 120 per 1000 live births. Now it is 10. Life expectancy for men was 52 – now 63; and 54 for women – now 70. The organisation now looks after 12,000 people a year, including 2000 bush visitors. “Give me the child until he is seven and I will give you the man,” Ms Ah Chee quotes the 17th century saint Francis Xavier. Ms Ah Chee quotes epidemiologist Sir Michael Marmot, former chair of the Commission on Social Determinants of Health, producer of “Closing the Gap in a Generation” in 2008 and recently presenting the Boyer Lecture series on the ABC. 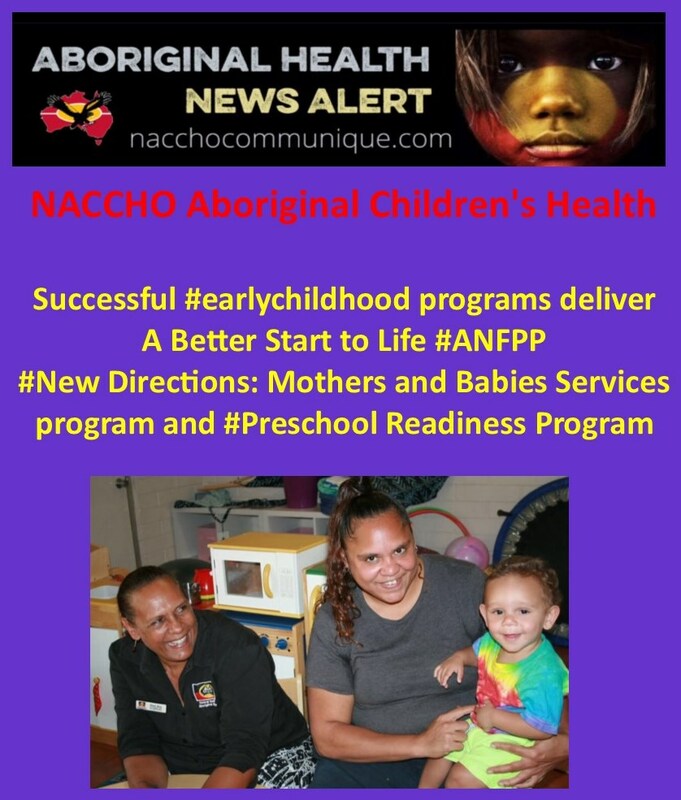 NACCHO Aboriginal Health #SDoH #MarmotOz : ‘Aunty, with our prospects in life – what is the point of being healthy? She says he published the results of a British study on 70,000 children all born in 1970. “He showed that brain development by age four is highly dependent on being read to every day, conversational language in the home, going to bed at the same time every night, being part of a good playgroup and being physically active – that is responsive parenting,” says Ms Ah Chee. “Such programs can help some children to “leapfrog” out of the intergenerational disadvantage that they are otherwise destined to. 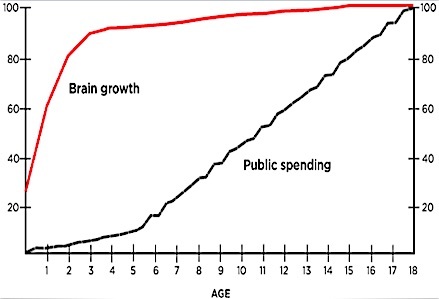 “They can reverse the large social gradient seen in this graph. In the second Boyer lecture Professor Marmot describes one such program that has achieved this in the poorest part of London – in Hackney,” she says. “Yet in spite of all the evidence for the effectiveness of early years interventions this is how most OECD countries spend their funds – it is the inverse of what is needed,” flicking the graph on the screen. She says more than 70% of Aboriginal mothers who have accepted participating in the Congress early childhood program “are significantly educationally disadvantaged so it is reaching the right families. “Corresponding with the educational disadvantage is the reality that 80% are not working and have incomes of less than $500 per week. The primary health care sector through “its antenatal care and healthy kids checks establishes supportive relationships with mothers, families and children in the critical period from conception to age three. “When Congress started 40 years ago, infant mortality rates were around 170 deaths per 1,000 live births and now they are around 12 . Our babies are no longer dying from easily preventable causes and the challenge has moved to the promotion of healthier development. 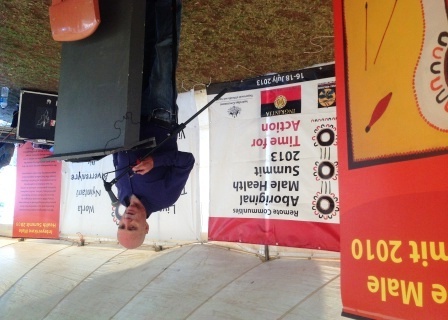 “The NT is the only jurisdiction currently on track to close the gap by 2031. This achievement is in large part, the result of governments working in genuine partnership with Aboriginal community-controlled health services and investing new funds where they are most needed. The Central Australian Aboriginal Congress Aboriginal Corporation welcomed the latest Closing the Gap report card, calling for an emphasis on continued commitment and long-term investment by the Council of Australian Governments to meet meaningful targets in Aboriginal disadvantage. “Overall there has only been a small improvement across the nation in closing the life expectancy gap for Aboriginal people. However, looking at averages across the nation does not tell the story of significant improvement in Aboriginal life expectancy rates in the Northern Territory. The NT is the only jurisdiction currently on track to close the gap by 2031. This achievement is in large part, the result of governments working in genuine partnership with Aboriginal community-controlled health services and investing new funds where they are most needed. This is strong evidence that the significant investment in the NT, especially the investment in Aboriginal primary health care, is working”, said Ms Donna Ah Chee the CEO of Congress. “The fact that the nation is on track to achieve its goal to halve the gap in year 12 educational attainment by 2020 is important. Achieving better educational outcomes is largely a precursor to stable, meaningful employment at a reasonable income level. However, the improvement in education is not uniform and a lot more needs to be done in remote communities across the NT. “Although the addition of a new target on closing the gap in school attendance rates may be useful, Congress is disappointed that the new target was not more directly focused on closing the gap in actual Educational outcomes. Attendance at school is important but it it’s only a means to a successful outcome which is completing year 12 studies and being fully literate and numerate. If children have entered school without the developmental capacity to learn and do well then attendance alone will not be sufficient to address the gap in educational and employment outcomes. “Congress suggested that the new target could have been to close the gap in the Australian Early Development Index scores of children aged five years, as this is the key to closing the gap in both school attendance and successful educational outcomes. We need a “bottom up” strategy to addressing school attendance which ensures our kids enter school capable and ready so that school is where they want to be not where they have to be. 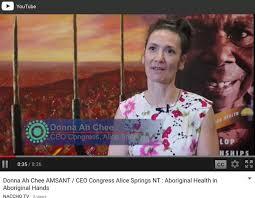 “Congress also welcomed the improvement in Aboriginal child mortality rates. “It is a concern that there has been no progress on some targets, especially the employment target, but there is a wide ranging review currently underway on this issue which will hopefully lead to some useful new approaches. In the meantime, it is vital that all Australian governments, through COAG, recommit to the long term cooperation and investment that is clearly working though the Closing the Gap National Partnership Agreements”, said Ms Ah Chee. For more information, contact Emily MacKenzie, Communications Officer, on 8953 7814 or by email at emily.mackenzie@caac.org.au. About 120 Aboriginal men from across Australia have joined together at a national summit to identify ways to improve the health for Aboriginal and Torres Strait Islander males in remote communities. 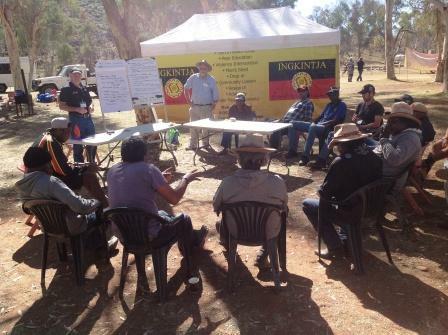 Minister for Indigenous Health, Warren Snowdon, said today the three-day summit involved men from 29 communities from the Northern Territory, Western Australia, Queensland, New South Wales and South Australia. “For the first time, we are working closely with the men who live in these areas and asking them for their recommendations and ideas on ways to improve their health and the health of their families and communities,” he said. “The summit will discuss a number of issues impacting health, including physical, social and emotional wellbeing, culture, employment, incarceration, and access to services in remote Aboriginal communities. The Australian Government’s National Partnership on Remote Service Delivery has identified each of the communities represented at the Summit as a priority area. Under the partnership, the Government is working with Aboriginal and Torres Strait Islander communities to improve service delivery and facilities, to raise the quality of services, and support community leadership. “Rather than having Aboriginal and Torres Strait Islander people feel like they’re part of the problem, we want to encourage and support Aboriginal men to be part of the solution,” Mr Snowdon said. The Australian Government has provided $440,000 to support the Aboriginal Health Summit in partnership with the Central Australian Aboriginal Congress and Wurli Wurlinjang Health Service. The Australian Government has funded a wide range of programs targeting men’s health, following the release of the National Male Health Policy. Including initiatives to prevent and treat prostate cancer, new funding for mental health programs aimed at men, supporting Men’s Sheds and funding organisations that address key male health issues including reproductive health. 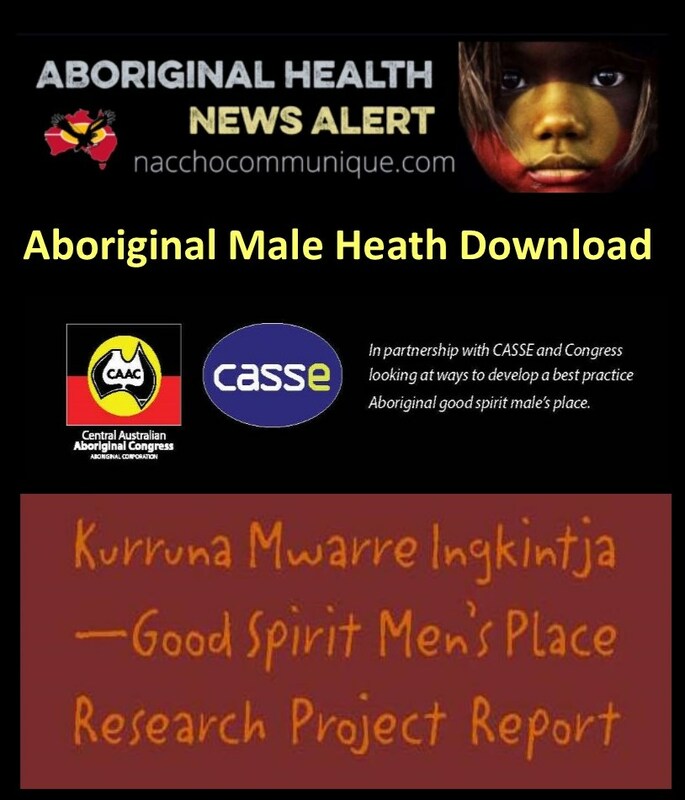 There has also been funding committed towards programs to address the health and wellbeing of Aboriginal and Torres Strait Islander men. 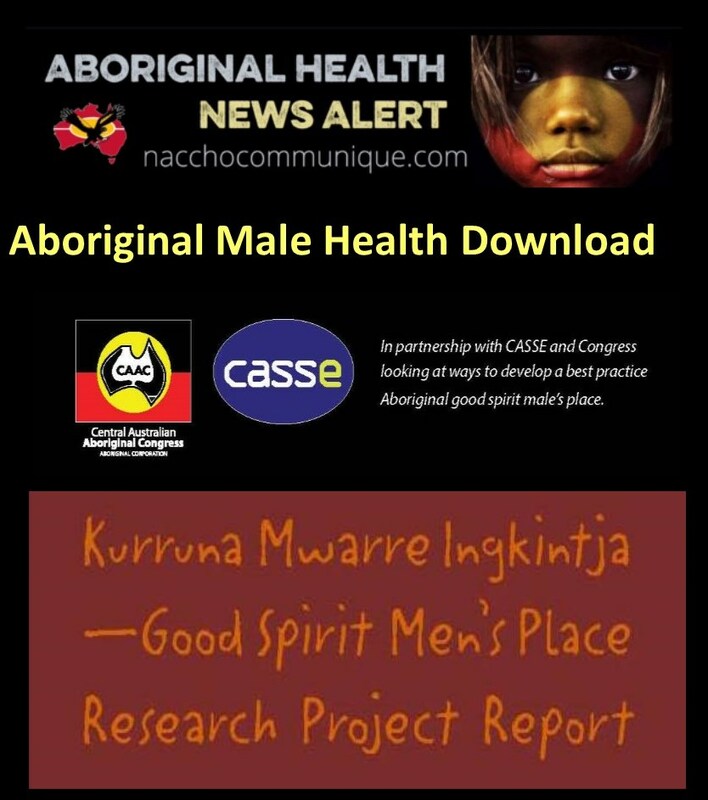 Recognising and promoting the positive roles Aboriginal and Torres Strait Islander males have in managing their own health, and in supporting the health of all members of their communities including women and children. The Australian Government is also investing in providing better treatment for men with prostate cancer, with about 20,000 new cases diagnosed each year. Abiraterone acetate (marketed as Zytiga®) will be available on the PBS from 1 August 2013, at a cost of $46 million over four years. Funding of $7 million over four years was recently announced to the Prostate Cancer Foundation of Australia to support up to 13 Prostate Cancer Specialist Nurses to assist and support up to 4,000 men with prostate cancer. In an effort to address suicide rates particularly among males, the Federal Government is investing $23 million to expand the beyondblue national workplace program, and building on the Info Line for men. Campaigns are also being developed to address the stigma around depression, anxiety and related disorders. Through the Strong Fathers Strong Families (SFSF) initiative $6.8 million has been provided to promote the role of Aboriginal and Torres Strait Islander fathers, partners, grandfathers and uncles and encourage them to actively participate in their children’s and families’ lives. More than $300,000 has been provided to establish, equip and promote Men’s Sheds as a positive contributor towards health, wellbeing and community engagement issues within Aboriginal and Torres Strait Islander communities. White Lion has been granted $275,000 to provide intensive outreach support for young Aboriginal people who are incarcerated or have recently been released from incarceration. Congress Alice Springs a monumental decision, members vote for change. In what is undoubtedly a monumental decision, the members of Central Australian Aboriginal Congress (‘Congress’) have voted to transfer the organisation to become registered under the Corporations (Aboriginal and Torres Strait Islander) Act 2006 (CATSI Act). Chansey Paech, Donna McMasters, Dawn Ross (Treasurer), Chippy Miller, Joe Hayes, William Tilmouth (President), Donna Ah Chee (CEO). 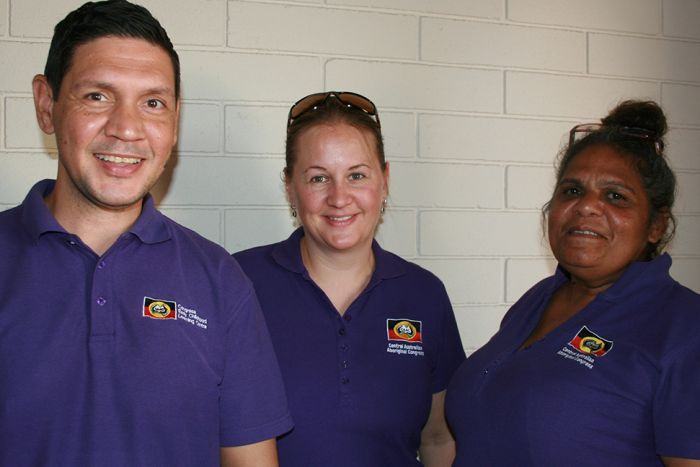 For almost 40 years, Central Australian Aboriginal Congress Inc. (‘Congress’) has provided holistic primary health care services to Aboriginal people in Alice Springs and Central Australia. 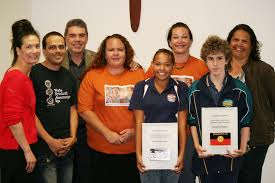 Congress has grown to be the largest Aboriginal community-controlled health organisation in the Northern Territory and, until this point, has been registered under the Associations Act NT 2003. The changes were voted on as Congress held a General Meeting today at the Alice Springs Convention Centre, attended by 93 members. A new board was elected (to be formed upon the registration of Congress under the CATSI Act) and will remain in place until the next Annual General Meeting in late 2013. The meeting also voted to accept a new rule book (Constitution) for Congress. “I’d just like to thank the community for attending today, and for electing me as President,” said President-elect William Tilmouth. “I’ve always been known for strong accountability, and strong accountability to the people we serve; it’s because of them that we exist. “It’s encouraging to see the new board and their enthusiasm to work with management to bring about the necessary changes in order to meet the charter of Congress and the expectations of government and the community. “I’m also a strong believer in partnerships; we need community relationships in order to deliver services to the people who need them most.